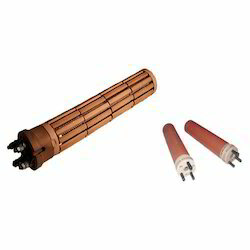 We manufacture and supply Bobbin Acid Immersion Heater. Our products are passed by quality team and highly appreciated by our clients. A qualitative range of Bobbin Acid Immersion Heater is offered by us to meet with the rising demands of our respected clients. These are made using high quality stainless steel tube with the diameter of 35 mm to 50 mm. The terminals of heaters are covered with a cap. Our range of product is easily fitted with projection for the installation purpose. 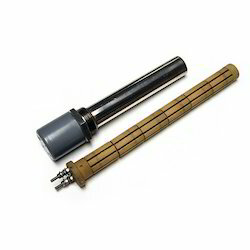 We offer various customized solution for Bobbin Acid Immersion Heaters. It saves on energy costs. Reflectors are often not needed. Surrounding work area temperatures are cooler. 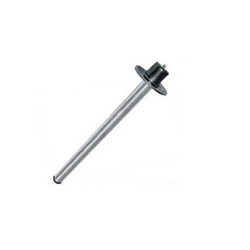 Bobbin immersion heaters are also available with or without gold plating.